Behind every good dental appointment is a caring and dedicated dental staff. We care about more than your teeth and gums. We care about your general good health, your comfort, and your peace of mind. In our office you’re not just a chart, nor just another patient. After graduating from Leland High School in Almaden in 1975, he received his Bachelor of Sciencedegree in Microbiology and Biochemistry at UC Davis. Dr Syn received his Doctorate of Dental Surgery from Northwestern University in Chicago in 1983. After practicing in the Lake Shore Area of Chicago and doing research with Northwestern Medical School in the area of Dental Vaccinations. He returned to San Jose, California to start his private practice in the neighborhood of his youth in 1984. 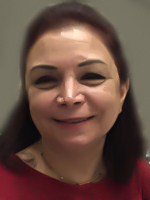 Dr Syn is an expert in the field of dental computer technology and has lectured and consulted in this field since 1983. He enjoys photography , videography, flyfishing, and computer science. After graduating from Emerson High School in New Jersey, Dr Gray received her B.S. degree in Biology from Fairleigh Dickensen University in New Jersey. She received her Doctorate of Dental Surgery from Northwestern University in Chicago in 1982. She is a published researcher and worked at the American Dental Association research facility in Chicago. Dr Gray has attended years of continuing education in the area of Orthodontics and has had extensive training in General Practice orthodontics. 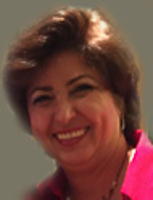 She came to South San Jose in 1984 to start her private practice of general dentistry and general orthodontics. While in school she worked as a Medical Microbiology Technician for Northwestern Memorial Hospital. She enjoys sewing, scrap booking, running, swimming and the outdoors. 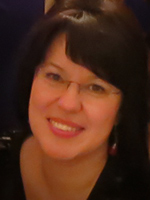 Dr Olga Belova received her Doctorate of Dental Surgery from University of Pacific Dental School in 2002. Dr Belova has a true passion for dentistry, spending many hours on continuing education. As an active member of the Santa Clara County Dental Society, Dr Belova has donated many hours in society sponsored events and committees. Dr Belova joined our office team in 2002. She also has a Doctor of Dental Surgery from University of Moscow Dental School. She is fluent in Russian. She enjoys being a mother to her two beautifull daughters. Theresa graduated top of her class from Foothill Dental Hygiene school and is one of our elite Dental Hygienist. 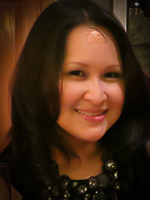 Mother of two , she is active in the community and enjoys parenting and the arts. She loves music, theater and ballroom dancing. She is a valued member of our Soft tissue program and can help you maintain your healthy teeth and gums. Shabnam takes her role of treating and maintaining gum health very seriously with a warm and comforting manner. Her dedication to our patients has been very rewarding to the practice and we are thrilled to have her on our team. I will be happy to work with you on any issues pertaining to your insurance benefits. I have over 20 years of front office experience and 10 years of chairside experience in the dental field and will assist you in making appointments , keeping your account current and helping you get the most out of your dental visits. Lorraine is extremely knowledgeable and helpful assisting our patients with their insurance needs and questions. Lorraine is very passionate about patients getting the most out of their benefits. Her expertise in accounts managing is superb. Originally from Russia, where she had a teaching degree and taught art to elementary school children, Irena has been in the dental field for over 5 years. She enjoys her two young daughters and enjoys ballroom dancing, cooking and entertaining. 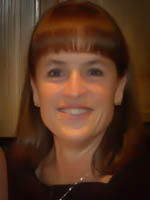 Irina recently moved to the Almaden Area where her kids attent local schools. Soroya’s knowledge and talents are superior. Her expertise is crucial in helping the doctors deliver quality dental care. Her upbeat and casual style makes our patient’s experience a good one.